WARNING! The fudge is not drizzled, Cedar Point 2018, 2 of ? 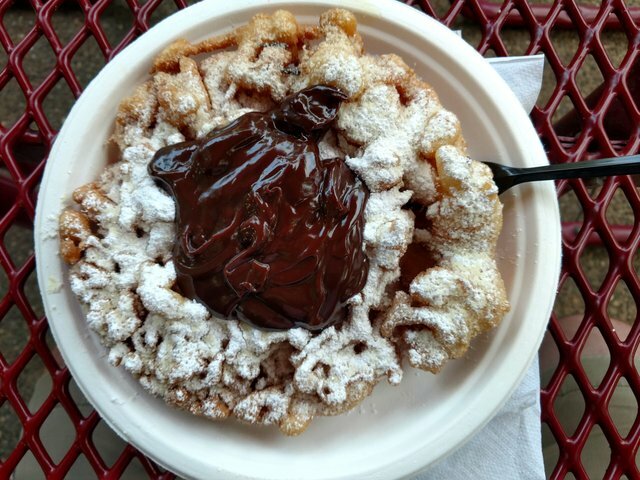 If you haven't gotten to enjoy a funnel cake, I both highly recommend this delicious treat and warn you from ever trying it! 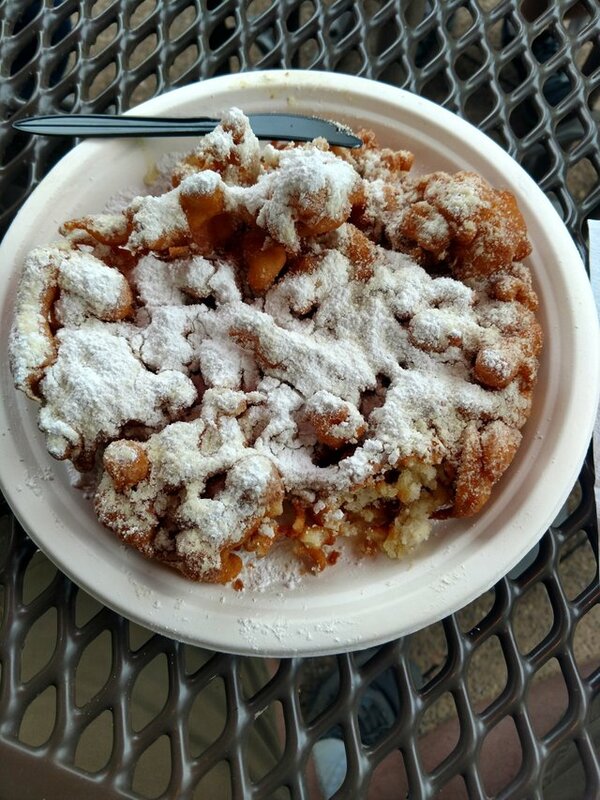 Its deep fried dough with powdered sugar sprinkled on, oh so delicious. I normally get these at the end of the day before I leave the park, sadly I didn't finish my second one, I decided to try the fudge option, I thought they would put a nice drizzle of hot fudge on it. I was wrong. Don't get me wrong, it's delicious fudge. I just didn't need 2 cups of it. Have a great one and God bless! oh man.... i remember eating funnel cake mmmmmmmmmm can't anymore. DARN YOU GLUTEN!!! I try and get creative with my tags if I can't find anything else that is applicable. And thank you! I've got some catching up to do, backed off while the fork happened and getting back into things now. Hi @prlndra! You have received 0.1 SBD tip from @dreemsteem! @tipU voting service | For investors.